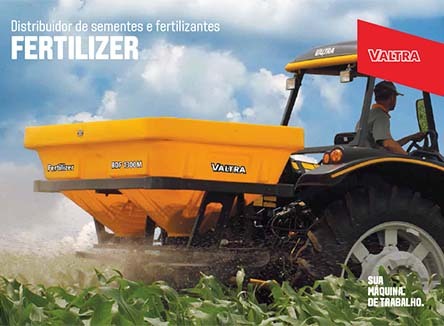 The fertilizer distributor has a capacity of 1,300 liters, an individual cardan drive and opening of the gates made of steel cables or hydraulic cylinders. 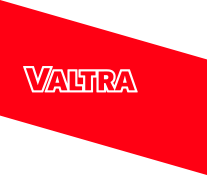 The Valtra fertilizer distributor, the Fertilizer BDF 1300, has a capacity of 1,300 liters, an individual cardan drive and opening of the gates made of steel cables or hydraulic cylinders, a polyethylene tank, and distribution with an adjustable width from 18 to 36 meters, among others features. You can find all the information in the brochure below.